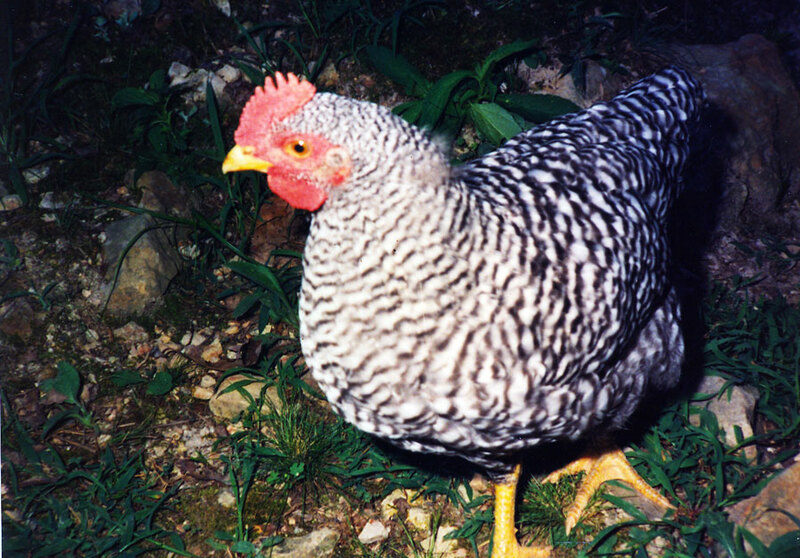 One of the free-ranging Barred Plymouth Rock chickens Benson raised. Chicks were purchased at Miller Hardware Co. in Harrison, Arkansas. 1990, scanned color print, 3 x 5 in. (7.62 x 12.7 cm). Ozark Series. © 2008 by Allen C. Benson.